2.The entire process is completed without the need of surgery and anesthesia. 3.No risk of gaining the weight back, no side effect. The strong sound wave of 40000Hz may be emitted to human body for impacting fat cells fiercely and causing friction motion between fat cells. This may cause effective consumption of calories and moisture in fat cells and reduce the size of fat cells. Radio Frequency focus on skin deep layer, which heat up the tissue and promote collagen regeneration, makes skin rejuvenation and more tightening. Ultrasonic cavitation 1.0 handle creates friction motion and fierce impact between fat cells at 40000HZ strong sound wave, resulting in consume calories and moisture in fat cells, reduce and explode fat cells, to achieve effects of body slimming&shaping. Best for stomach, thighs, bottom, arms. Vavuum&RF radio frequency handpiece uses vacuum open the gap between the cells, RF heat up the fat, to accelerate the blood circulation in the fat accumulative zone, then speed up burning the fat. It used for the body, limbs, buttocks and other body areas to achieve slimming firming effect. 6-Polar RF handle let 1MHz RF radio frequency penetrate to the epidermis layer, directly to the dermis, deeply heating the collagen cells, then stimulate the growth of collagen fibers, promote blood circulation, tighten and whiten skin. It treats all body area like buttocks, belly, back, arm, leg. 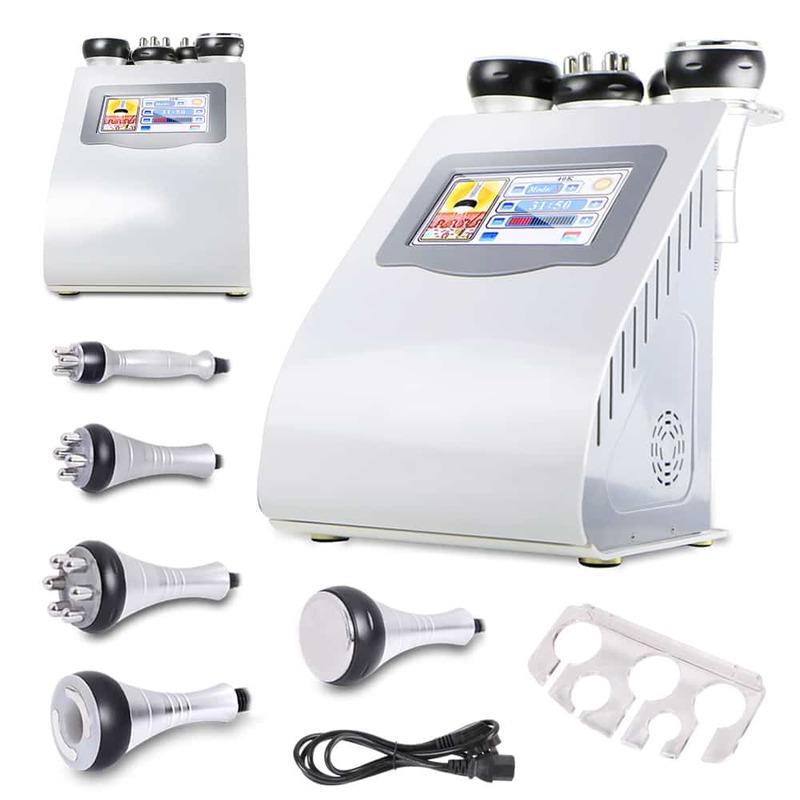 3-Polar RF radio frequency handle penetrate to the epidermis layer, directly to the dermis, deeply heating the collagen cells, then stimulate the growth of collagen fibers, remove the wrinkles, tighten the skin. It aims at eye around, neck, face.